Reading ability in fact has seen a dip over time. Share of standard II students in rural government schools who cannot recognize even letters have risen from 13.4% to alarming level of 32.5% against the norm that children should able to read simple sentence by the end of standard II. Percentage of standard V children who can read standard II level text has continually declined though marginally since 2008 for both government and private schools. Of course this share is higher for private school but trend is very similar.At the exit point of elementary and compulsory education i.e. in standard VIII a quarter of all enrolled children still have difficulty in reading text that is appropriate for standard II level. 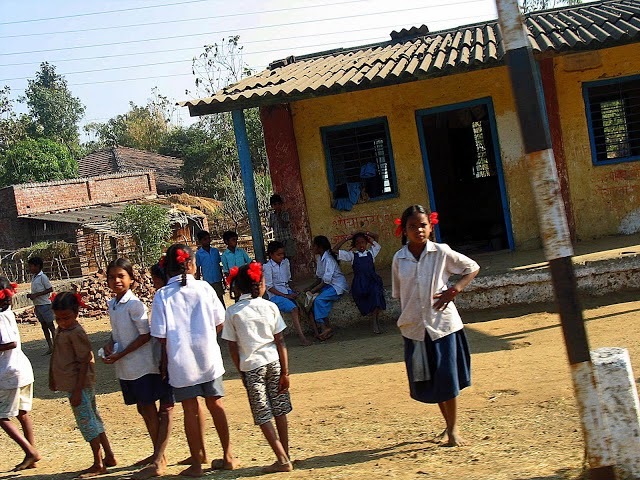 Arithmetic ability is also experiencing a declining trend in Rural India. Share of standard II kids who can recognize numbers 1-9 have fallen from 86.6% in 2010 to 74.9% in 2014 in rural government schools. Private schools also show declining trend −from 94% to 91.8% for the same period. Percentage of standard V students in government schools who can do division successfully has declined 33.9% to 20.7% during above mentioned period. At exit point of elementary education also we see similar trend – percentage of standard VIII children who could do division fell from 68% (approx) to 44.1%. I have had the opportunity work with testing tools which ASER uses in order to validate ASER results after properly training the surveyors. I would say that their results and our research results were not very different. 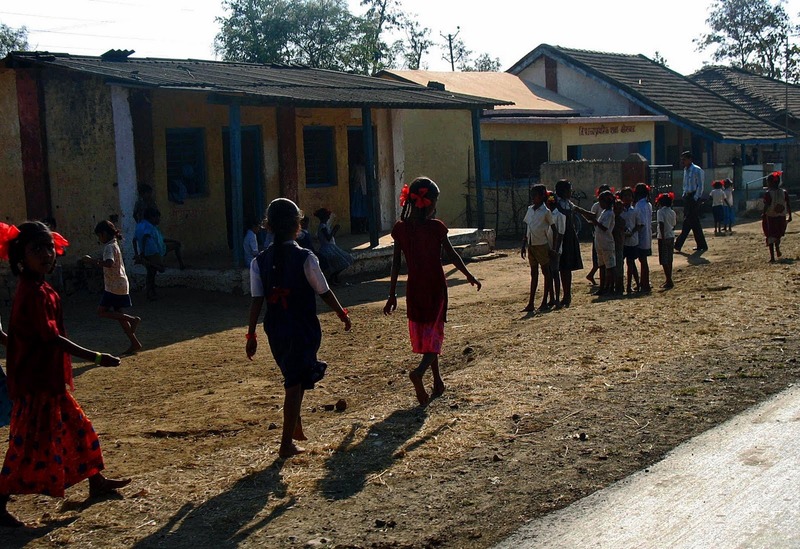 Given that we accept the results from ASER it is quite depressing situation for rural India. Now who has to be blamed for this result? There are various reasons for this. Teachers work in an incentive system where attending school or any official duty is enough. There are hundreds of excuses that a teacher can make when asked about declining learning outcomes. They will argue with concrete evidence that they were left with little time to teach as they had allocate their duty hours to BPL survey, Census, election duty etc. in addition to various school related data generation like Mid-Day Meal scheme and financial supports for students. It would not be misleading to claim that elementary school teachers are considered as extended department of government for various kinds of data collection and reporting. The training(s) that these teachers receive may be good but one has no way of sticking the responsibility on them as they can always argue that there was no time left to do required amount of the teaching. When you give too much of responsibility to an individual you are basically telling him/her that you can get away with doing nothing. Just like Government ministers cannot be held responsible, it is always the secretaries who are caught for doing something wrong. Given my argument earlier quality of training would not matter much in these circumstances. What is interesting here is that governments' effort is dedicated to tick all possible boxes to get out of monitoring radar. All protocols are executed to make sure that there is no legal issue with regards right to Education Act. Content is hardly an issue for the government. In fact it is the demander (parents) not the supplier (government) who has to evaluate the content of education that their children are receiving, as suppliers have every incentive to spend as little effort as possible. Government has no incentive in controlling the content of teaching given the length of electoral terms. It is the clients or their representatives who have to continuously evaluate the content of education. Now the issue is that not every parent can be competent in doing this. Eventually, this responsibility falls on the shoulders of educated parents to take the lead in this direction. The reality is that they indeed monitor the content very carefully and owing to this they take their children out of the government schooling system and educate them in the private system instead. The policy problem at this level is that educated parents are also economically better-off which makes private schooling or at least private tuition affordable for them. If such educated parents did not have the choice of sending their children to private school/tutors they would have definitely raised the voice against the poor content of teaching and there would have been some response to solve this issue initially from teachers and eventually from governments. So what we should do? Few years ago my immediate response to this problem was, banning the private schooling is a good idea. Now I think differently, private schooling can actually be an instrument of competition in the system. Any additional competition is good for the system. Achievements of students in private schools can be used as benchmarks for government schools and will keep aspiration levels high. In order for private schools to work as competitive force in the system we need some visible hands in the system. These visible hands would essentially work for parents who are unable to monitor the content in the government schools. They should work as information agents in the system who would highlight the treatments that government school students are getting. To certain extent such visible hands are already at work. NGOs like ASER Centre and Pratham are great examples but they are not sufficient in quantum. Additionally, these organizations are working objectively on specific issues of evaluation and training but there is a need for organizations that will work towards translating quality of education into a political issue which will obviously feed on the information produced by objective organizations like ASER and Pratham. Another essential component of this visible hand is funding opportunities which are rather tight and highly opposed to idea of politicizing the quality of education issue.